Larger than others currently on the market. There are three key things to look for when buying an apartment. QUALITY FINISHES to show that you are buying into a good building and not buying a lemon. Described by the agent as 'Opulence, Space and Location = Apartment Heaven', 6/60-62 Henry Lawson Walk, East Perth WA 6004 is a 3 bedroom, 2 bathroom Apartment For Sale by Scott Banister-Jones from Scott BJ Properties. This property was listed For Sale with a listing price of Mid to high $700's. East Perth properties have a median price of $1,002,500 with a growth of -8.9% over the past 12 months. 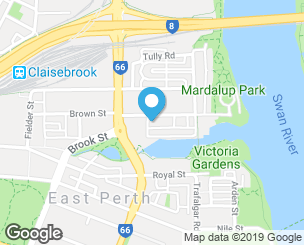 If you're interested in getting in touch with Scott Banister-Jones regarding 6/60-62 Henry Lawson Walk, East Perth please call 0438 933 634 or contact the agent via email. A tranquil waterside village, East Perth is situated less than two kilometres from the Perth city hub. Admired for its beautiful residential landscapes, the idyllic riverside suburb has long since set the benchmark for inner-city living. Home to more than 8,000 residents, East Perth provides a bustling urban lifestyle against a picturesque backdrop. There are eateries, sporting venues, pubs and evening venues all accessible within East Perth. The iconic Royal Street is home to some of the best brunch spots in Perth and there is The Royal on The Waterfront, a much loved pub, restaurant and cocktail bar. The WACA, the home of cricket in Western Australia, is also a feature of the suburb and hosts some of the biggest games in cricket every year. Other notable mentions include the Perth Mint, Claisebrook Cove and City Farm.